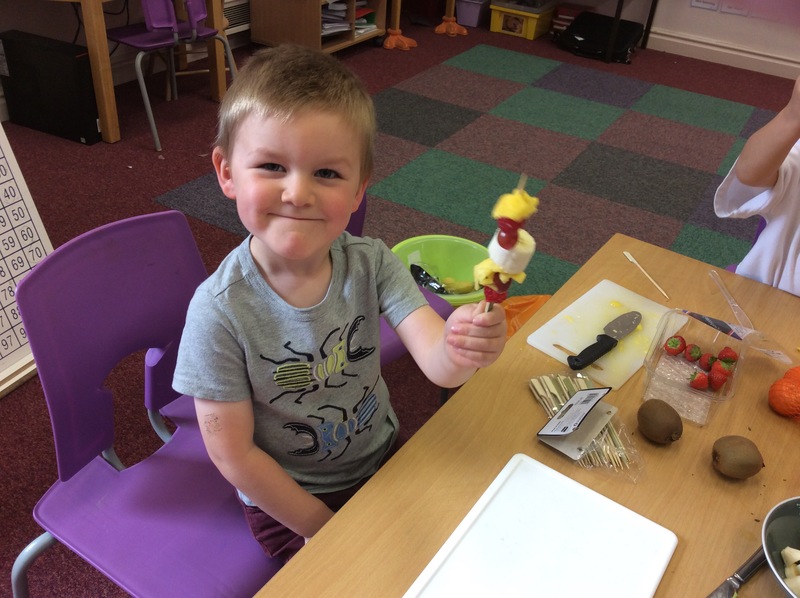 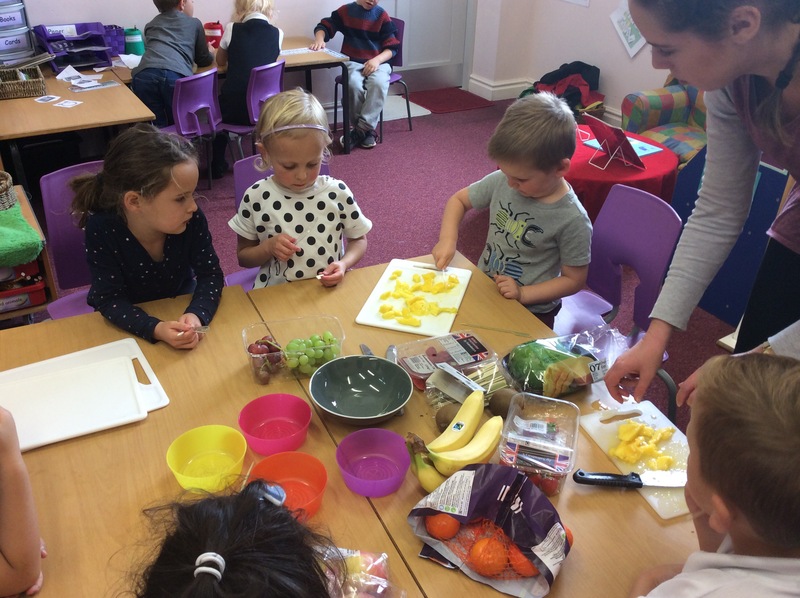 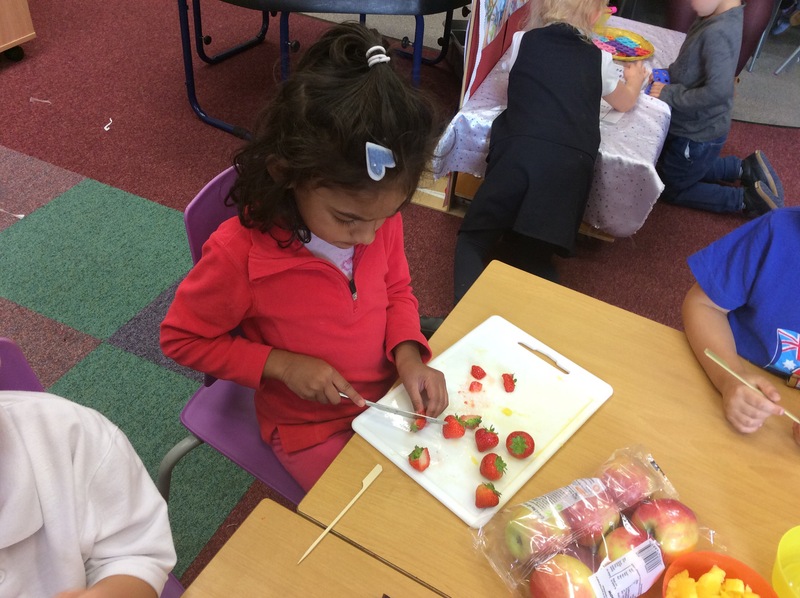 On Wednesday afternoon we all made some healthy fruit kebabs. 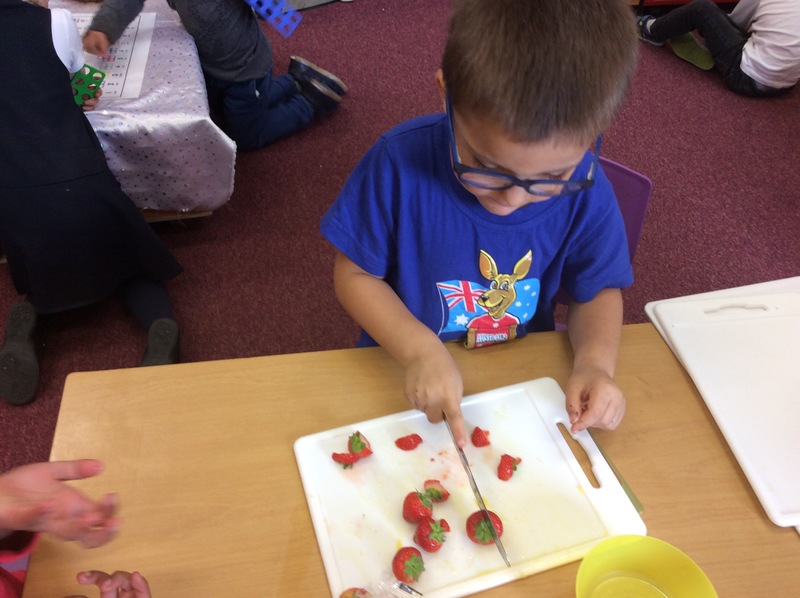 We all had a go at cutting up the fruit and were very safe with the knives. 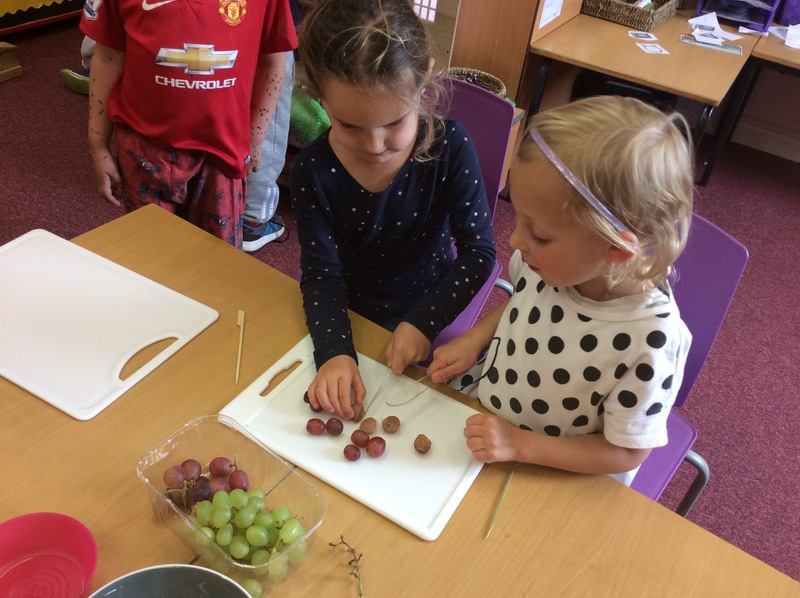 When we made our kebabs in a pattern using three different fruits. 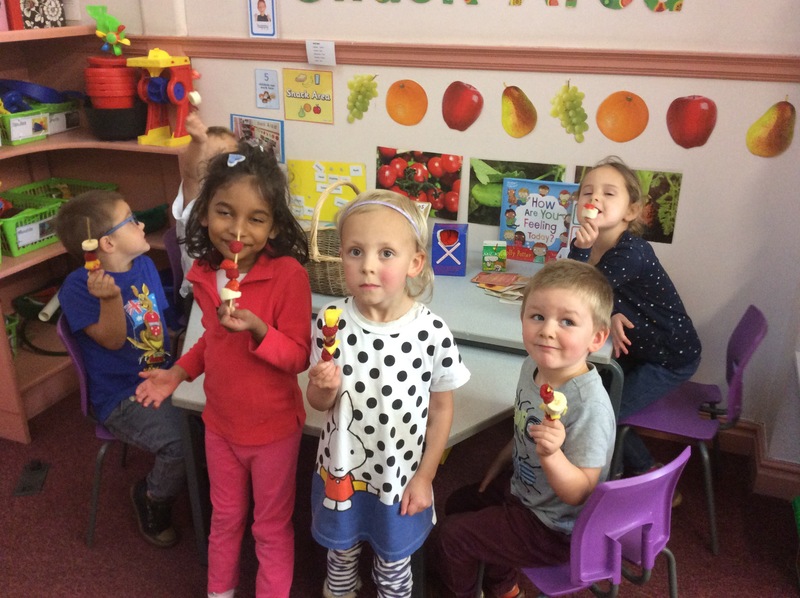 They were delicious!